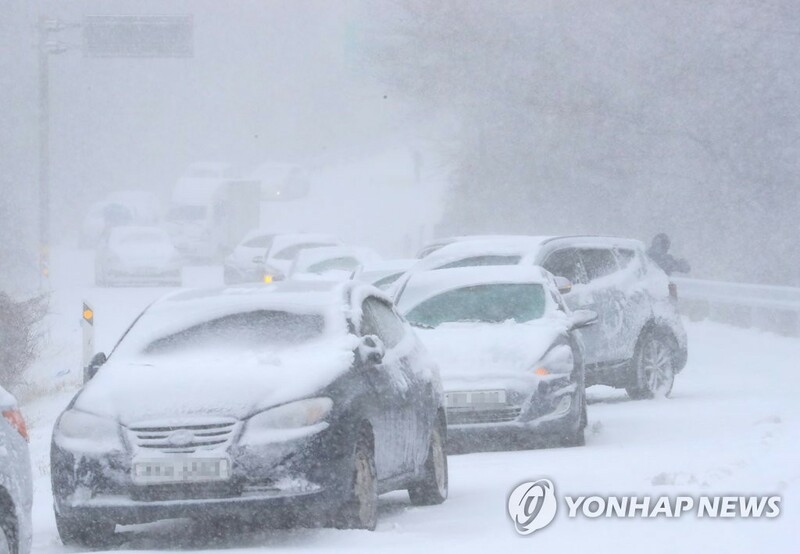 A heavy snowfall warning has been extended to ten cities and counties in North Jeolla Province. The Korea Meteorological Administration's Jeonju Office said Thursday that warnings have been issued for the counties of Gochang, Buan, Sunchang and the city of Jeongeup as of 6:00 a.m. Warnings were previously issued in Jinan, Jangsu, Imsil, Namwon, Wanju and Muju. The heavy snowfall warning is issued when more than five centimeters of snow is expected to accumulate in a region within a 24-hour period. Weather authorities on Jeju Island also issued warnings for the island's mountainous areas and the northern region on Thursday, where icy roads have been blocked off and paths on Mount Halla have been partially shut down.